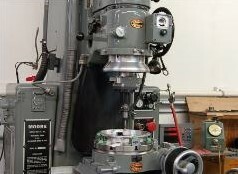 Dies & Tools Equipment List | | M&M Jig Grinding | Jig Grinder, Jig Borer, etc. For your high precision and production jig grinding. Grinding tolerances as close as 1 micron. For your larger jig grinding needs. 12 x 24 – High precision; fully automatic. Bore gaging from ¼" to 16"